The following is a most excellent article written by the lovely Tracey de Morsella titled, "12 Clean Energy Trends to Watch in 2011 and Beyond". It is so good, I had to share. I'm off to Cali for some green social media consulting...fun, fun, fun...enjoy the article and thank you to Tracey and the fabulous folks at The Green Economy Post for always providing excellent green news and views relevant to our green-livin' lives. The clean energy sector is entering a phase of dramatic change in which business models are being transformed against a backdrop of regulatory uncertainty, as the industry emerges from a challenging period caused by the global economic downtown. Technologies and business structures that were once abandoned, are now being revived in several key sectors. 1. Wind power steps up efforts to move offshore. Citing concerns, population density, limited available onshore sites, and concerns about wind power’s impact on birds and bats have often delayed and hindered many wind power projects. So, some developers, manufactures, governments, and investors, particularly in the United States and The United Kingdom have opted to move their wind power projects offshore, in spite of the potential additional costs associated with building long distance transmission lines. The biggest players in this market are Germany, the United Kingdom and Denmark, which obtains more than 25% of its electricity from wind power. However, in the long-term, Pike Research’s market forecast shows that China’s offshore wind market will be even with the UK and Germany by 2017. * Advances in power electronics originating from electric drives, process plants, and mass transit traction systems have been adapted to the transmission and distribution (T&D) industry. * Some of the same kinds of power electronics innovations occurring with PCs, iPods, and other consumer gadgets have occurred within larger industrial systems. * AC transmission systems suffer lines losses that can range from 10% to 15%, while HVDC line losses lose just 2%. * AC systems sometimes flow in unpredictable ways, which contributes to rolling blackouts or brownouts, while HVDC systems are 100% controllable, with the power only going where you want it to go. Ironically, today’s utility grid evolved to an AC-based grid because the technology could carry power better over long distances than low-voltage DC and the electric utility industry evolved into a monopoly-based business model. Both giant IT firms and emerging entrepreneurs are supporting the idea of switching back to direct current T&D systems. DC systems are already in the home– being used to power PCs, thermostats, refrigerators, gas meters, AC outdoor united, washing machines, and gas ranges, etc. 4. More utilities are underwriting new renewable energy power plants and cogeneration facilities. After decades of reliance on independent power producers as the primary developers of new renewable energy power plants and cogeneration facilities, in the wake of the recent Wall Street meltdown and resulting recession, new capital intensive projects are now relying more on utilities to underwrite these ventures. US utility firms are dominating in this arena, with investor-owned utilities financing an increasing share of large systems that feed directly into utility wholesale grids. While most of the action is taking place in California, these are a number of utility-owned generation (UOG) systems and utility-scale solar PV projects being developed in Colorado, Nevada, and Arizona. 5. Offshore wind power is seeking new sources of financing. Offshore wind power in Europe is financed by an umbrella of companies, which almost always include a government-owned financial institution, as well as unregulated arms of large utilities. As these wind projects move into the mainstream, it has become necessary for utilities to identify new sources of financing to remain sustainable. In the United States, where the off-shore wind market is drive by wind developers, those with ties to major utilities are in the best position to get through current economic setbacks. 6. Biomass facilities are getting smaller. With more focus on thermal energy services than on electricity generation, biomass facilities are starting to get smaller. However the cost of fuel collection from small sources in high, so small facilities are relying on regional sources of fuel to minimize fuel collection and transportation costs. 7. Geothermal is making a comeback in the United States. Western state renewable portfolio standards (RPS) laws are driving investment in new transmission. In US western states, geothermal power generation is seeing a period of tremendous growth, with California and Nevada being the strongest markets. There are 188 geothermal projects in 15 states being developed. Pike Research forecasts the the U.S. will add 2,313 MW of geothermal capacity by 2015. 8. China is becoming a leader in the waste-to-energy market. China’s surging population and waste generation are pushing it to the top of the global waste-to-energy market, while the United states stagnates in this sector as a result of the limited availability of cheap landfills. There has not been a new waste to energy plant built in the United States in a decade. 9. There is significant diversification in the solar sector. There is movement away from a focus primarily on polysilicon solar PV to an embracing of other solar technologies including thin film solar PV panels, concentrated solar power (CSP) also known as solar thermal electric, and concentrated solar PV (CPV). [See Is the Concentrated Photovoltaic Sector Heating Up? ] One of the most interesting developments in solar is the merging of CSP and solar PV concepts- known as concentrating solar PV. It achieves efficiencies than 40% while solar PV panels are only 20% efficient. The size of solar power generators is growing. The bundling of tax incentives and attractive leasing arrangements have enabled customers to install solar PV on large commercial complexes without and major up-front capital costs. Wind is not the only renewable energy to take to the water. A handful of firms are driving a new trend of floating solar arrays. In the United States, SPG Solar in Novato, CA has installed two projects on ponds for California wineries. 10. Wind power is undergoing diversification in both design and scale. Solar is not the only clean energy sector that is experiencing a period of diversification. Wind is undergoing diversification in both design and scale. While most commercial wind turbines are based on the classic Danish three-bladed upwind design, two-bladed designs are being promoted due to capital cost savings, and vertical axis designs are being used for offshore wind power generation and for the small-scale wind market. Because the cost to install as smaller wind turbine dose not difference significantly that the cost to install a larger wind turbine, there has be a push for larger machines. 11. On the verge of a comeback in the United States, the nuclear power industry faces the possibility of dying out as a result of the nuclear disaster in Japan. [See The Nuclear Power Resurgence] After hitting an all time high in acceptance by the public, the evolving calamity at the Fukushima nuclear power plant witnessed by the world as it happens is having a significant negative impact on perceptions of nuclear power around the world, that could ultimately doom the industry. [See Japan’s Once-Powerful Nuclear Industry is Under Siege] With the exception of the United States, most nations around the world are cancelling plans for expanding the use of nuclear power and some, most notably, Germany is planning on phasing out the use of nuclear power. For the most part the rest of the world is shifting the focus away from nuclear energy and to renewable energy. Pike Research analysts suggest that in the United States, the politicization of renewable energy, and the nuclear power industry’s strategy of being linked it as a clean source of energy, may also serve to force President Obama to renege on his commitment to set aside $36 billion of federal tax payer money into loan guarantees designed to revive the nuclear industry. They suggest that the Tea Party movement in the Republican party will see the support of nuclear as socialist. While it is an interesting theory, the Tea Party has not been up in arms over the subsidizing of the oil, gas, and coal industries, and Republicans have for the most part supported the nuclear industry in the past. However, even before the earth quake in Japan, utilities in the US were expressing misgivings about nuclear power as a viable energy source because of the capital risks, sting concerns, and low natural gas prices. 12. China’s wind market is facing continued growing pains. Even though China is the largest wind power market in the world, it is facing several significant setbacks. The products of some of the nation’s smaller developers from have experienced some quality control issues and this has force the Chine to impose new quality standards to weed them out. They have been unable to generated the revenues that they anticipated due to increased competition from European manufacturers that have entered the market and the requirement that 70% of all components be manufactured by its domestic supply chain. China’s growth in wind power is slowing because it’s feed-in tariffs and mandatory grid access have not been enforced. Additionally, developers are having difficulties financing projects, as well as facing cash flow issues because if the policy of paying subsidies every six months, while in other countries subsidies are paid out on monthly basis. 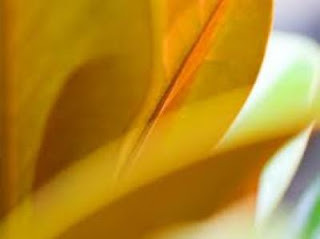 Conclusions and predictions presented in Pike Research’s white paper, “Clean Energy: Trends to Watch in 2011 and Beyond,” draws from a broad array of Pike Research reports, with market forecasts included for key sectors. A full copy of the white paper is available for free download on the firm’s website.